Under the criminally minded nom-de-plume Benjamin Black, Banville departs from his dour Quirke detective series and his genre forays into expanding the Raymond Chandler’s milieu and mood. 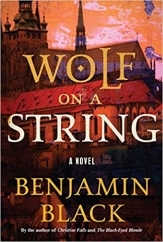 Author Benjamin Black, under his real name John Banville, has demonstrated that he knows something about Prague. He evoked the early modern city in a historical novel on the rivalry between astronomers Tycho Brahe and Johannes Kepler, the eminent dominator against the upstart dissident. In his non-fiction Prague Pictures he gracefully portrayed the city’s streets and sights. Now, under the criminally minded nom-de-plume Benjamin Black, Banville departs from his dour Quirke detective series and his genre forays into expanding the Raymond Chandler’s milieu and mood. 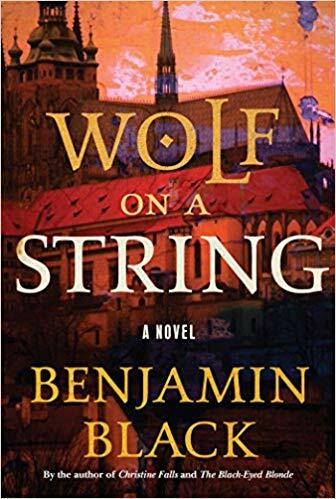 Wolf on a String begins in 1599, when aspiring alchemist Christian Stern arrives in the Czech capital and finds the body of a noblewoman in Golden Lane. His investigations bring the attention of Holy Roman Emperor Rudolf II, who takes an interest in the curious young man, and intrigue follows. So far, Black’s in his natural surroundings: He brings the literary flair of his sophisticated novels under his own name into his later career moonlighting in the realm of morbidity and murder. Yet any reader of his oeuvre knows that Banville’s as fascinated by the machinations of life and death as Black by police inspectors and forensic pathologists in his native Ireland or 1940s Los Angeles. Noir suits the medieval city as well as its modern, equally dismal, successors. Much as L.A. is a character in Chandler’s crime novels, Prague is its own character. The protagonist suspects “there lurks in every one of us, since Adam ate the apple, the guilty expectation of just such a distant hammering on the door at the dead of night, of curt voices in the hall and the tramp of heavy boots on the stair. 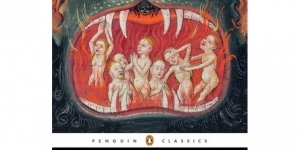 No man in his heart believes himself entirely innocent.” By any name, the author varies his rhythms from philosophical musing to staccato sounds and alliterative ambling, then back to foreboding judgment. Banville-as-Black cannot be separated from Banville-the-creator. In either guise, he invigorates the crime story with dignity. He also plunges narrative into squalor. As Banville did in Kepler and a companion novel about Copernicus, Black does in Wolf on a String, seeking truth lurking in the darkness. 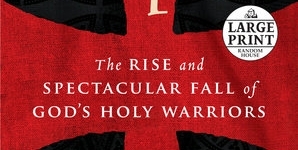 Christian confesses: “I have always considered the appearances of things to be no more than a gauzy veil behind which a truer reality is covertly and marvelously at work.” The surprising and the sinister have ghosted and echoed in Banville’s elegant fiction; Black’s enveloping tale follows Christian as he rues the tardiness of wisdom, the duplicity of power, and the deceit within passion. Drawn into court, the narrator observes his supposed better. “For Rudolf, to be spoken to was to be interrupted. 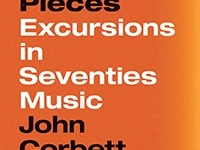 He prized above all the sound of his own voice, and plainly much enjoyed hearing himself expound on his views of the world and its infinitely curious ways. And why would he not? He was Emperor, after all.” Here, the shifts in register reveal Black’s ear. The first sentence in its slightly inverted, proverbial phrasing catches one off guard, as if demanding a re-reading of the apt description. The length of the middle passage luxuriates as does the royal personage habitually and by now in his reign, probably unknowingly. 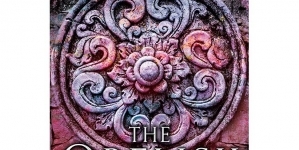 The last two colloquial comments briefly shore up Christian’s insight and draw it back to its speaker, as he too finds himself lured into the potent possibilities of favor bestowed by the imperial ruler and his measurement of who merits promotion and who deserves either demotion or termination. As often in both Banville and Black, the plot meanders. He prefers to immerse his stories in dense atmospheres where the psychological pressures disorient the figures populating dank cellars, dismal alleys, and doom-laden corridors of the wealthy and the feared. Christian, along with his predecessors in these accounts, scrambles and hides as much as he tries to preen and mingle. He sums up late in his adventure: “Just this: that the world bides, crouched in cover, waiting to spring, and that there are moments when all unexpectedly we feel upon our cheek a waft of its ravenous breath.” There pass hints of Shakespearean drama and Montaigne’s sententious reflections of the previous century’s thought and pose. Kepler steps in to explain the odd title (a working one was Golden Lane). It refers to a howl created when a note, a string and “some resonating frequency in the wood of the instrument, producing a cacophonous howl, not unlike that of the wolf.” Two parts of the violin turn out “so disharmoniously at odds.” One wonders, the learned astronomer continues, “if the string and the wood are aware of the harsh discord they make together, or is it only others that hear it—eh?” A provocative question, and the resolution of this mystery tugs the reader deep into the heart of darkness in a city of stony cobbles and soaring towers, both prey to the evil that shadows so many in this account of passion. The results may succeed better in conjuring up the spirits than banishing them in the cold light of reason or the shimmer of the dawn. But whether Banville or Black, this prolific talent continues to create pages worth turning. 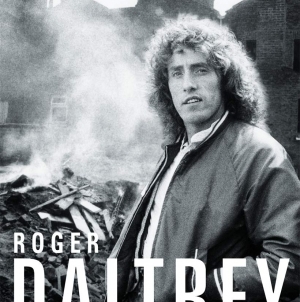 His long career has not exhausted his imagination, his wit or his determination to seek, and lose, truth.